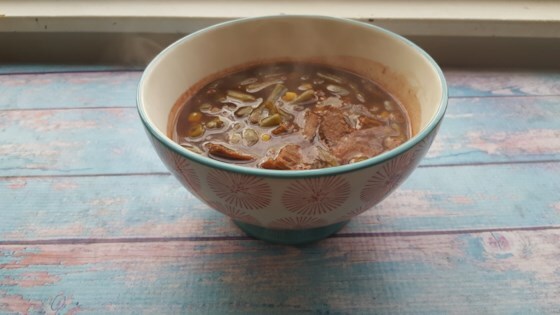 "This is a very good Brunswick stew made with last night's leftover pot roast. Southern style BBQ sauce works best. Don't use honey BBQ or other really sweet sauces because they make the stew too sweet." Place the shredded roast in a slow cooker. Mix in the vegetables with liquid, barbeque sauce, Worcestershire sauce, and beef broth. Cover, and cook at least 1 hour on High. This stew was awful. I should have known better than to make something with jarred BBQ sauce as the base.